100 fluorescent-green cassettes, housed in special folded cases made from 100% recycled card. Comes with a free download code. thisquietarmy needs no lengthy introduction. Based in Montreal, Canada, Eric has established himself as one of the major artists in the Drone scene – not least because of his extensive touring all over the world. In addition, Eric has supported Oaken Palace Records basically straight from day one, being a member of Parallel Lines, who contributed the very first release on the label. 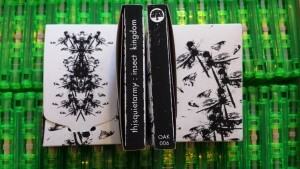 Now Eric returns to Oaken Palace Records with his prolific solo project, contributing two drones from his live set at Les Siestes Musicales, a festival at Espace Pour La Vie‘s insectarium in Montreal. 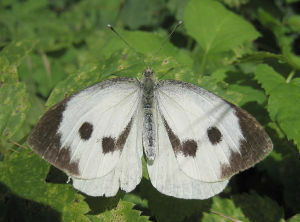 The profits made from selling this release will be used towards the protection and conservation of insects. 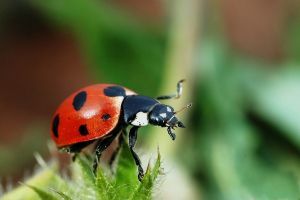 The track titles obviously are the binomial names for two insects: Coccinellidae is better known as the ladybug, and pieris brassicae is the Large White or Cabbage Butterfly. July 2016: CA$ 503.74 to the Space for Life Insectarium, where the album was recorded.